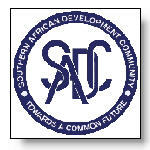 Southern African Development Community heads of state gathered Wednesday in the Tanzanian capital of Dar-es-Salaam for an extraordinary summit at which Zimbabwe's deepening political and economic crisis was to be discussed along with the recent political bloodshed in the Democratic Republic of the Congo. The recent violence in the Democratic Republic of Congo (DRC) was irresponsible and should be replaced with a spirit of reconciliation and inclusiveness to ensure stability in the fragile country, said European Union envoys. 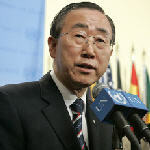 United Nations Secretary-General Ban Ki-moon has called on both the Government and opposition in the Democratic Republic of the Congo (DRC) to shoulder their responsibilities to democracy to ensure a full transition to peace after last year's historic elections intended to set the seal on decades of civil war and factional fighting. 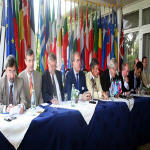 European Union ambassadors have expressed their indignation at two days of machine-gun and mortar battles between the army and loyalists of former vice-president Jean-Pierre Bemba in Democratic Republic of Congo's capital. 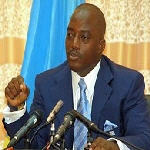 In the Democratic Republic of Congo, human-rights organizations say they are not reassured by President Joseph Kabila's statement that the military action that left dozens dead last week was necessary to maintain peace. 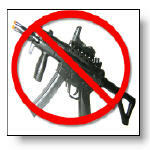 They say the way to national reconciliation is open dialogue and space for a strong opposition. 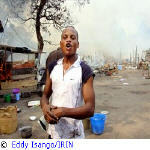 Democratic Republic of Congo President Joseph Kabila says he will track down all people responsible for the two-day clashes in the capital, Kinshasa, that killed 120 people. 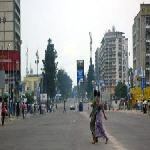 Residents of Kinshasa, the capital of the Democratic Republic of Congo, are relieved but bitter, as calm has returned after two days of brutal fighting between government forces and the guard of opposition leader and former vice-president Jean-Pierre Bemba. Dozens are reported dead, and the death toll is expected to rise as more information becomes available. 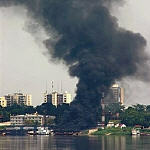 Calm has returned to Kinshasa this Saturday March 24 2007, after two days of heavy fighting in the central district of Gombe between members of ex vice President's Bemba's guards and the Congolese Armed Forces (FARDC), which claimed the lives of at least 60 people, and left many wounded. 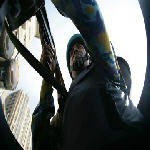 The situation remains tense in Kinshasa this Friday March 23 2007, after heavy fighting between the guards of ex vice president Jean Pierre Bemba and the Congolese Armed Forces (FARDC), which has raged in the capital’s central Gombe district since yesterday morning.